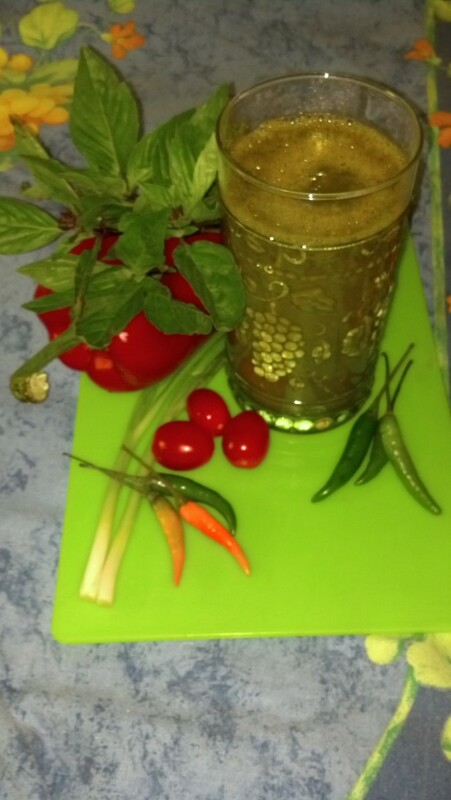 Recipe Redux – February, 2014: Beverages are Hot! Sometimes it’s simply easier drink a meal than to eat it. Blenderizing your fruits and veggies has the added benefit of making many of the nutrients easier for your body to digest and absorb. Maximize your next salad’s nutrition potential by tossing it in your high powered blender! 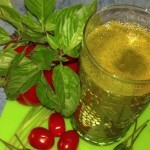 This Thai Basil Smoothie is a great example of a blended salad, and is sure to satisfy your savory tooth. Add extra chili to make it extra spicy (but do taste-test first as Thai chilis are HOT!) To make it less spicy, include less of the chili seeds. 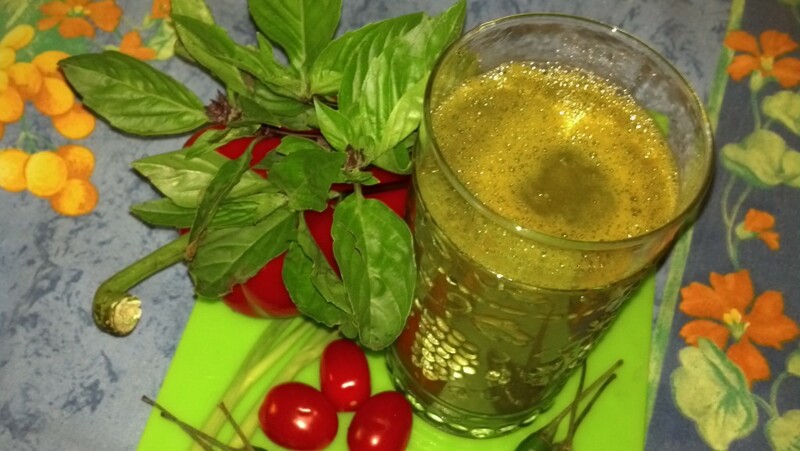 If you can’t get Thai basil or Thai chilies, then substitute with regular basil or slices of Serano peppers. The addition of olive oil is important because its fat helps with absorption of the produce’s fat-soluable vitamins. If you don’t want to use olive oil then substitute with a wedge of healthy avocado instead. Toss all ingredients except olive oil into a high-powered blender. Blend ingredients at medium power for about 15 seconds, then turn speed to high and run machine until everything is blended together smoothly. Turn speed back down to medium and slowly drizzle in the olive oil while blending. Serve in a tall, chilled glass. Makes 1 tall, or 2 small, servings.